I keep going over the Essen games this year and I keep seeing games that look good but not great. I've got a limited amount of time to play and I wish I could play my top 20 games a lot more than I do. Looking at the Essen '13 list, I cannot find a single game on it that I think would replace any of my top 20. What about you? This Geeklist is simple (and I expect won't see too much traffic besides the listing of 2 games). 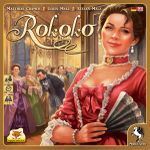 Add an entry for one game to be released at Essen 2013 (Spiel 2013 Preview) that you expect will replace one of your top 20 games. Then mention which game is being replaced and why you think the new release has the potential to edge out one of your current favorites for more than 3 - 5 plays. I can safely say this, because I kickstarted it and already have some plays. Really fantastic game, put it in my #13 spot, bumping Shogun out of the top 20. I have high hopes this one will knock out Descent from my top 20. It looks really fantastic. I kickstarted this one too, and it should be shipping to me any day now. I've been looking for the right civilization / 4X game for me for years now. I played the FFG Civ game once a couple of years ago, and it didn't really catch my eye. I've tried Through the Ages a few times (and just finally traded it away) -- downtime on that one is a killer. I thought maybe Eclipse was it, but we haven't gotten good enough at the game to get past the "player who gets the best explore draws wins" part of the curve. Then I thought maybe Clash of Cultures was the one -- but both of my games played have been derailed by opponent's military. And I thought I was ready for it the second time! So maybe 4X just isn't for me. Maybe this game, with its abstracted wars, is? I'm really interested in this one - to the point that I purchased a Korean copy as the game is mostly language independent. 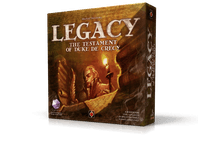 I enjoy Through the Ages, but its length keeps it from the table so I'm hoping this Civ game might be able to stick around and get played more frequently. This is FAR from a safe bet to break into my Top 20, but it is also the most likely to do so. As you mentioned, most of this year's Essen crop is uninspiring--good, but with limited upside. Tash-Kalar goes the other direction. It is the one game that, at least abstractly, has a high ceiling, even though it also has a high risk that I won't like it at all. It seems rather novel, yet challenging and sufficiently immersive. I could see it being very addictive if I can manage to find a steady opponent. If you are looking for something a little less risky, I think Prosperity is the safest bet to be a game I enjoy and keep for at least a few years. This is the other one about which I am excited and think could end up in my top 20. I see a number of other games I look forward to playing, but not sure if there are any others potentially in my top 20. Given the fact that i don't expect a great crop this year (Essen 2012 was awesome and i will look forward for only a few games this year), i will purchase one of the big three Splotter i don't own yet. There's a decent chance that this one makes it to my top 20. I've played it and enjoyed the experience. And I want to play it more. And I will. Essen is not for me about new games so this is on the third page of my shopping list. i tend to buy games that are a couple of years old. and that won't be a problem if it is fun to play. I *adore* Agricola. This looks like Agricola++. I actually don't mind the cards in 'gric, but several people in my group feel those are the weak element of the game because sometimes you can get a flop while someone else gets a great combo. Will it replace Agricola? That's very hard to say, but it *could*. And even the possibility of that is saying a lot for me! Wow, 4 out of the first 6 games listed here are also on my "Top 20" (I wish) list. The other Essen release I am holding out hope for is the Bleasdale/Knizia designed Prosperity. Between them, those designers already have five games in my top 20. Really looking for something with simple rules but deep game play. Both are capable of this. But will it be a marriage made in heaven or hell? I am looking forward to Glass Road, which I hope might enter my top 20 games. I like the action selection mechanics, and the idea of trying to outguess what your opponents do to try and get the bonus ability for your action. 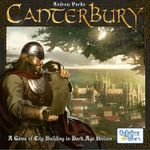 For me it blends a bit of San Juan and a bit of Citadels with the usual Uwe commodity trading. Just read the rules and saw the Enclave: Zakon Krańca Świata reviews. The picture makes me want it. This is a must-buy for me! It will only be demoed at Essen, apparently, but it sure is one of my most awaited games of 2013.